Like most of the episodes in the vast saga that the Jews call their history, however, the period of Solomonic glory was a work of fiction, a literal “We Wuz Kangz” fantasy for Jews. In reality, David and Solomon, if they existed at all, were nothing but obscure chiefs of gangs of hill bandits and their supposedly majestic capital city, Jerusalem, was nothing but a small, unfortified and undistinguished hamlet. After centuries of enforced servitude in Egypt, the proto-Jews invaded their “promised land”, Canaan, and exterminated most of the indigenous peoples. When most of the goyim (“the people of the land”) had been wiped out, the Jews enjoy a period of glorious success under King David and then Solomon. Solomon, although a great king, let the rot set in by marrying a foreign (non-Jewish) wife. After Solomon, the Jewish kingdom broke apart into a northern kingdom (Israel) and a southern kingdom (Judah). Judah remained true to the “faith” by suppressing and shunning non-Jewish religions and peoples. Israel, however, went multi-cultural. Foreign gods were worshipped or tolerated. Strict racial purity laws were not observed. God punished Israel for these transgressions by allowing it to be conquered and crushed by the Assyrians. The Bible story, then, is basically a parable stressing the need for racial and religious purity. Jews should shun contact and intermixture with the lowly goyim. If they don’t, God will punish them. 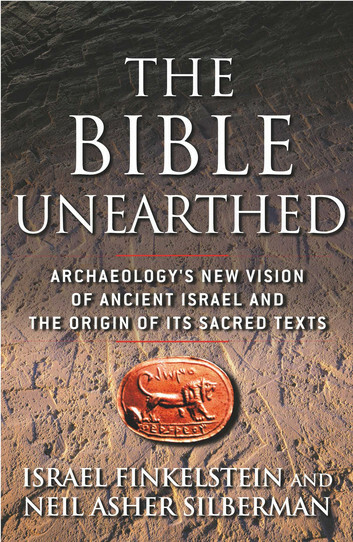 Many conventional works of history accept the basic parameters of this Biblical narrative as valid. But the factual evidence doesn’t support it. As archaeological knowledge has deepened, it has become clear that much of Biblical history is pure fantasy. Earlier generations of archaeologists, whether Jews or Christians, often had an intense emotional investment in the Bible stories. Their professional work was a quest for validation of suppositions they already held. As such, any findings they made tended to be interpreted in ways that would support the Biblical framework. As the book The Bible Unearthed (written by Jews Israel Finkelstein and Neil Asher Silberman) makes clear, modern scholarship has refuted the historicity of the Old Testament and punctured the reputation of the the archaeologists who tried to uphold it. There was no Exodus from Egypt or conquest of Canaan. (Incidentally, this means the line Jews like to quote to justify their pro-immigration stance “You were strangers in the land of Egypt” is nonsense.) Two kingdoms of proto-Jews formed in Palestine: one called Israel in the north, economically successful and interacting happily with its neighbours; and an unsuccessful, poverty-stricken backwater called Judah in the south, which strove to avoid contact with non-Jews. Israel was destroyed by the Assyrians and Assyria then occupied most of Israel’s territory for a while. Israelite refugees flocked to Judah’s capital, Jerusalem. When Assyria withdrew from the Israelite lands, the southern kingdom, Judah, attempted to establish its primacy over them. Bind the Israelites emotionally with the Judeans, convincing them that they were all one people. Make racial and religious exclusivism the foundational principle of Jewishness. Establish Jerusalem as the spiritual home of the “Jewish people”. The scribes of Judah invented an imaginary glorious past for themselves in which their great hero Joshua crushed the armies of the goyim and exterminated their civilian populations. But the powers, peoples and places described in the Biblical narrative make no sense in the context of the time in which the events described would have to have occurred, circa 1500-1300 BC. They make perfect sense, however, in relation to the 7th century BC. This was almost certainly the time at which the core texts of the Old Testament were compiled and written, during the reign of the Jewish king Josiah (the similarity of his name to that of the “hero” Joshua is unlikely to be coincidental.) Just as, say, the film 300, although depicting a struggle between the ancient Greeks and Persians, resonated with the then contemporary “War on Terror”, so the Biblical stories described conflicts that had supposedly occurred many centuries earlier but in fact reflected the challenges and antagonists faced by Judah in the 7th century B.C. The key difference, of course, was that 300 was recounting a real historical episode, while the Joshua stories were completely made up. The plans of the Judeans did not quite reach their intended fruition. Not long after Israel’s destruction by the Assyrians, Assyria itself was destroyed by Babylon which also then attacked Judah, carting off its elites for a period of temporary exile lasting about 50 years. During this period of Babylonian exile, living among foreigners, the elite Jews refined an ideology of apartheid that required them to segregate themselves, genetically and culturally, from everyone else. New Biblical propaganda was produced to support this ideology and some of the pre-existing books were edited to reflect it. This was the true origin of Jewishness as we know it today. The entire saga — the grandiose fake history and the much shabbier real history underlying it — is an extraordinary illustration of the power of Jewish lies. Jewish scribes talked up an insignificant hamlet into a fabulous city and minor gang leaders into glorious kings. And people, even in the far corners of the earth, believed these lies for thousands of years and many still believe them today. We see the same tendencies still at work today. Jews are busy rewriting our history to support and justify our destruction. America, the nation of “free White persons” has been reframed as a receptacle for endless diversity. European national epics, too, are being recast in ways that justify the obliteration of the actual European peoples. For themselves, the Jews created fake history to justify their racial exclusivism. For us, they create fake history to justify our racial annihilation. 2) Men are motivated by myths. We need our own. Actually, I think we have them; they just need to be promoted. We are relying too much on science; men are motivated by myths. Myths? The whole “Jesus” thing had to have been hoked up! Consider the raising from the dead, walking on water, converting a few fish and bread loaves into enough for hundreds…..I could go on and on. And the “parting of the Red Sea” business—what a business! We’re being given the business for sure there! I’m not going to go on and on, but will leave you with this thought: Falsus in uno, falsus in omnibus. Beware of dissing the Bible! It contains powerful myths about human freedom and the significance of individuals. It makes no difference to me whether Jesus was a personification of the sun, and the 12 disciples were the signs of the zodiac, etc. because the story puts forth powerful ideas, ideas which influenced the founding fathers, and others. That is why tyrants always want to get rid of it. “Beware” you say. Of what? Up until now lightning (real nor metaphorically speaking) hasn’t struck me as a result of these words and I’ve said much worse than this in the past! So scare me with a good line, I would enjoy the entertainment. I absolutely agree that we need our own myths. We have such rich histories to pull them from and it is disgusting how our nations allow foreign parasites to manufacture poisonous myths for us. As the historians have done their best to erase our history and replace it with their kosher versions of it suiting their despicable designs, we find ourselves in these straits. AH really should be seen as a 20th Century Moses who having been to the top of the mountain, codified a new set of commandments and led all of his people out of the post WWI wastelands. In this perspective, he is more worthy than the hebraic myth. We only need use our own histories, the Murdered Christ can still be used as our rallying symbol, not as the co-opted churches have made it – but as a tangible example of what the kosher menace does to anyone who dares speak the truth, anyone who dares upset their strangulation of others. As the “church” has been infiltrated, it offered all of its faithful up as sacrifices to the virus of the jews and the twin plagues that they brought us – Perversion and Islam to destroy us in mind and body. At its heart, the story of Christ is one of decency – which jews had tortured to death because he dared upset their power. Helping ones neighbors, doing unto others – these very ideas are blasphemous to the jew who sees all others as their unclean meat to be milked and slaughtered at their convenience. It is as true now as it was 2000 years ago. That is the true message of the cross, not what these “churches” preach to the sacrifices they offer up to jews. No he can’t. That’s some mythical baggage — that alleged son of the Jew’s mythical tribal god Yahweh/Jehovah/Allah — that Aryan man can well do without. View the 6 part series “The Great Jewish Masque” on the History Reviewed website, his channel was Shoa’ed. (((Their))) history and culture is all one big jewish lie, from top to bottom. They STOLE their “culture” from wherever (((they))) pitched their flea-ridden tents. Revilo Oliver’s works here can set you straight, as well as Liberty Bell, Instauration, Dr. Pierce, etc. A pastor friend told me that if a jew’s lips are moving, he is lying. The jew is the master of the BIG LIE, observed Hitler and Schopenhauer. Now, having said that much, I do realize that there’s quite a lot of speculation, a whole lot of “avoiding the Jew”, quite a bit of “Illuminati” red herrings, and New Age mumbo-jumbo in the series. But, nonetheless, for those with a discerning mind the videos are pretty informational and entertaining. Interesting article. 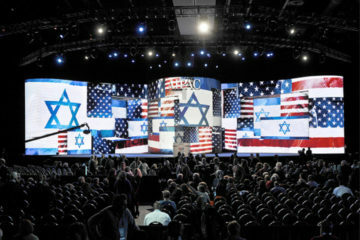 As a former Evangelical and one now who is sort of non denominational without all the pomp, there is no doubt the massive worship of Israel is huge by Christians.. Basically the state of Israel is put up there with JESUS even though Evangelicals will not admit to it. Meanwhile moslems hold up JESUS far higher than most jews do. Jews pride themselves on hating JESUS though they will not admit that in the open. True there are about 250 to 300 thousand jews who do accept JESUS as Lord and Savior. So many others simply become atheists or the loopy spiritual route..
What I do find interesting about JESUS is even people like Bart Ehrmann who is a respected historian and former evangelical turned atheist or at least agnostic, has said there is a great deal of evidence for the existence of CHRIST.. Far more than nearly all from so long ago.. He has done many books. Also why do we always go back to this one figure, in JESUS with well over 100 thousand books written on HIM in just english alone. I can tell you why I believe JESUS is Lord and Savior.. When my grandmother was dying my mother was in a very dark room and suddenly a Huge White Light came into the room with a smell of roses that lasted for a few minutes.. It would slowly fade out and my grandmother died that night.. Also do you think every single person who claims they have seen GOD on their death bed is nuts? All of them? It just takes one to be true to confirm GOD/JESUS. Though some things I do get upset with modern Christianity including cucking, the basis of it is good. It is not good to hate all the time. It does eat us all up. 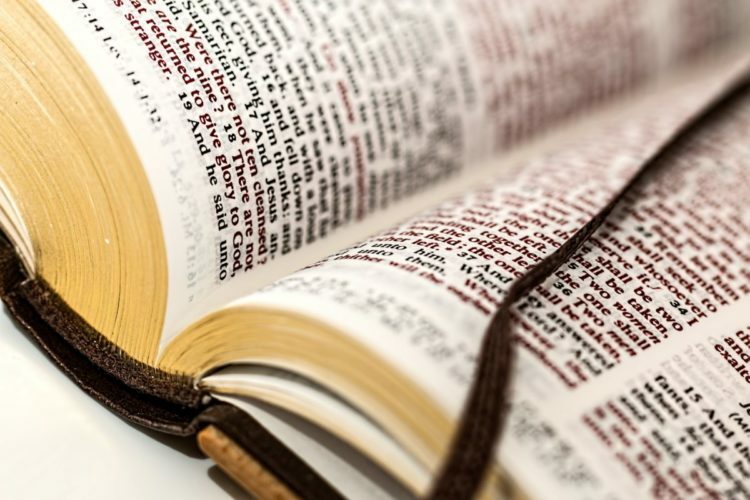 A few reads of the New Testament is a good thing to give hope. Going to Church is good and has been a foundation for Europeans for a long time. If anything all this atheism and anything goes has destroyed white people. When you have no Spiritual defense you allow Islam to take over though I would argue much of Islam is less insidious than Judaism even though Islam obviously has some lunatics and cannot be allowed to take over a mostly white nation. In the end we all check out for good. I will go with JESUS to my last breath. I want Eternal Life and so should any person. Accepting CHRIST as Lord and Savior and repenting of sins is a huge part of that process. You don’t have to be a cuck to be a Christian. If anything the US constitution has proven to be weak and insanely puts all religions on equal footing and thus, a satan statue sits in Illlinois at their state house for this Christmas. There is a reason most atheists are democrats.